FlexiOffices have calculated the average price per desk for all offices which are close to London tube stations in zone 1. 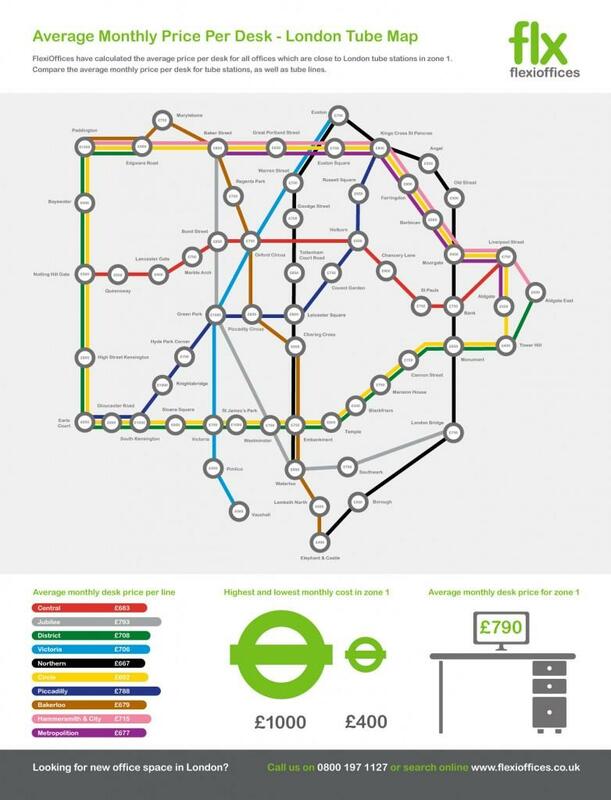 Compare the average monthly price per desk for tube stations, as well as tube lines. Download The PDF to see the full-sized version, which allows you to zoom into the map. This table shows the average monthly price per desk for all tube stations within Zone 1 of London's underground.